The World Cup is over for Portugal and not even a 2-1 victory over Ghana in the last fixture of Group G has helped them much. The music in these group stages has now officially stopped and it's Germany and the USA who are advancing into the knockout stages, leaving Portugal and Cristiano Ronaldo shattered in the third place of the group. Portugal are out of the 2014 FIFA World Cup in Brazil, but not before finally having found the path to victory by beating Ghana by 2-1 in Brasília. Still, the Selecção fell too short and finished behind both Germany and the USA in Group G. Paulo Bento's men needed to wrap up a large margin win against their African opponents this afternoon, but at the same time they still had to wait for Germany to help them a bit by beating the North-Americans. The "Mannschaft" held their end of the bargain by winning their game by 1-0, but the Portuguese Team couldn't go beyond a narrow 2-1 victory over Ghana and has therefore said their goodbyes to their World Cup adventure. Cristiano Ronaldo exits the competition with only 1 goal scored in 3 matches, a goal which he ended up scoring in today's game and that delivered the only win to his home nation in this World Cup. 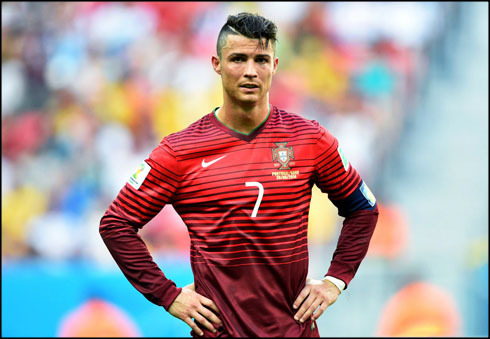 The verdict has finally come out, as Portugal failed to go through in this World Cup's Group G after falling at the hands of Germany and USA. Ahead of this match against Ghana, Paulo Bento decided to mix things up for a bit and tried a different midfield from what we've been used to see over the last few games. William Carvalho took Miguel Veloso place as the team's defensive midfielder, while Rúben Amorim replaced Raúl Meireles and João Moutinho was given some more freedom to dictate the team's pace. At the back, Beto was the goalkeeper, while Veloso on the left and João Pereira on the right got in charge of the wings, and Pepe paired up with Bruno Alves after returning to the lineup following his 1-game suspension (due to the red card seen in the opening game against Germany). 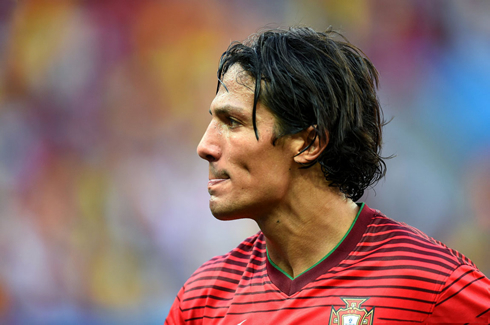 Upfront, Ronaldo and Nani welcomed Éder into his first start in this World Cup. As we had expected, this game between Portugal and Ghana turned out to be a quite open match, with both sides creating plenty of goal-scoring chances. 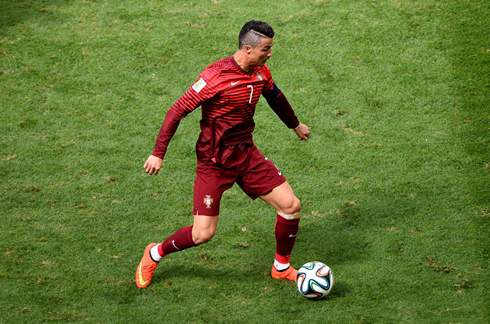 The first goal fell to Portugal though, right around the 30th minute of the first half. Just as it had happened in the second game against the USA, it all started on a cross sent into the box by Miguel Veloso, which this time was deflected by a Ghana defender into his own goal and granted the Portuguese Team the still-early lead. 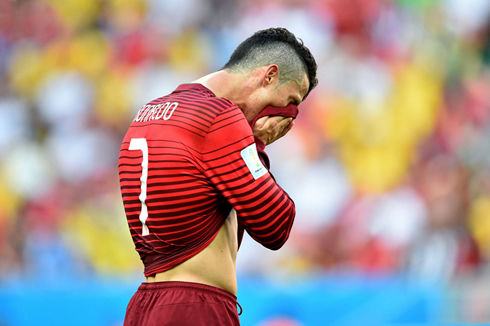 It actually didn't matter much how the goals were to be scored and there was still a lot left to be done in order for Portugal to swing the goal-difference against the United States into their favor. Half-time came on shortly after that opening own-goal and even though Portugal was already on the lead, the fact that Germany and the USA were still tied at 0-0 at the Arena Pernambuco in Recife, was somehow not very encouraging for neither Portugal nor Ghana... Against all odds, it would be the African side who would get to change the scoreboard for the first time in the second half, after scoring a truly brilliant goal in the 57th minute. The equalizer came off from a stunning assist performed by Asamoah on the left wing, who curled the ball into the far post after a great run and an impressive cross using the outside part of his boot. 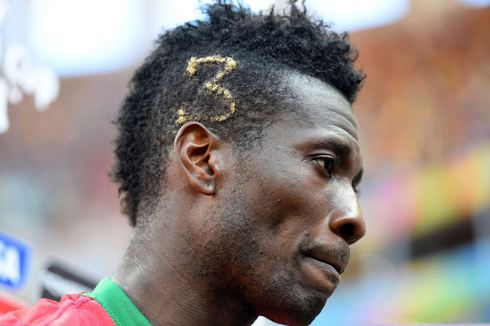 The header finish was then delivered by Asamoah Gyan, who got to beat Beto for the first time in the evening and with that, sparking his team's hopes of still going through. By the time Ghana had reached the equalizer, good news from Recife had just came in for both teams on the pitch, as Germany had finally scored against the USA. However, it was probably too late for Portugal to turn things around, as they still needed to win their game by a 4-goal margin. 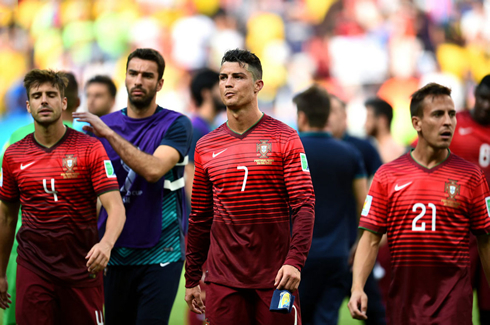 Nevertheless, both teams kept pushing forward chasing another goal and it would be the Portuguese Team who managed to get in front once again. The game had just entered its final 10 minutes when a terrible mistake from Ghana's goalkeeper basically delivered Cristiano Ronaldo a great chance to finally score a goal in this World Cup. The Real Madrid striker found himself just a few meters away from the goal line and with a ball bouncing in front of him, and he obviously didn't waste the opportunity to score the winning goal and put Portugal again in the lead. The 2-1 victory wasn't enough though, since Portugal still needed to score 3 more goals in order to cancel the goal-difference between them and the USA. 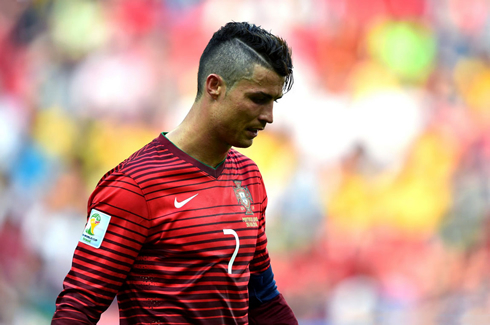 Since that didn't happen, Portugal was therefore eliminated from the World Cup and at least Cristiano Ronaldo can now finally get some resting time to recover from his knee injury and a very demanding season. 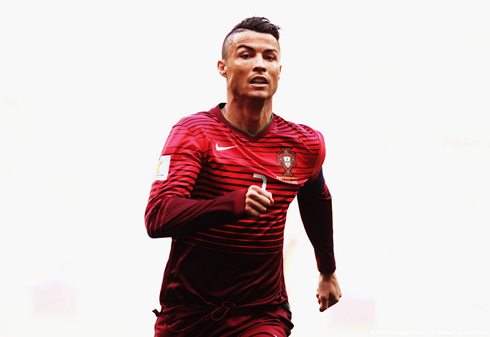 With his goal against Ghana, Ronaldo became the first Portuguese player to have ever scored at least one goal in 3 different World Cups (2006, 2010 and 2014). He also joins the Germans Jurgen Klinsmann and Miroslav Klose, as the only European players to have scored in 6 major competitions (European Championships and World Cups). Ronaldo has scored at least one goal in all the following competitions: EURO 2004, World Cup 2006, EURO 2008, World Cup 2010, EURO 2012 and World Cup 2014. Attackers: Cristiano Ronaldo, Nani, Éder. 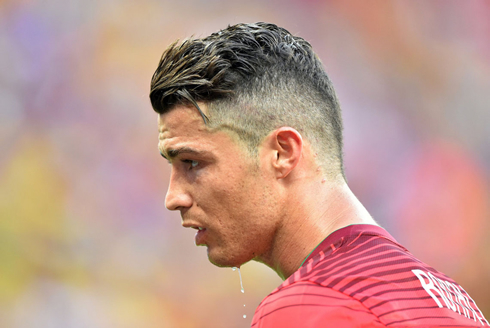 Cristiano Ronaldo's next game will be for Real Madrid, during the club's pre-season in July. In the meanwhile, you can watch Netherlands vs Mexico, Costa Rica vs Greece, Brazil vs Chile, and Colombia vs Uruguay, all matches provided from our FIFA World Cup game pages.